Phillip II, King of Spain, had married Mary I, Queen of England, and was co-monarch until she died and the English throne passed to Elizabeth I in 1558. Phillip considered Elizabeth to be both illegitimate and a heretic, but he still hoped to marry her and gain the English throne. However, relations steadily worsened between the two nations due to Elizabeth’s open support of the Protestant Dutch, who had successfully revolted against Spain, and her blatant but unofficial backing of the English privateers who raided Spanish convoys and colonies in South America. Phillip’s initial attempt to conspire with English nobles to replace Elizabeth with her Catholic cousin Mary, Queen of the Scots, failed when the plot was discovered and Mary was executed in 1587. Abandoning hopes of placing a Catholic on the English throne, he decided to build a powerful fleet, the Spanish Armada, to conquer England. In 1585, Phillip II, King of Spain, swears that Spain will dominate the whole world but only after it conquers Northern Europe, which can only be done once it has conquered their secret backer, England. Then it will conquer all of the world, so that there is no world, just Spain. However, a group of English privateers, known as the Sea Hawks, have been giving their loot to Queen Elizabeth so that she could build a powerful fleet but the treasury still can not afford it. The queen carefully navigates a strategy between indirect intereference in the Spanish Empire and open opposition, stating that England can not match Phillip’s vast resources and must rely on diplomacy. 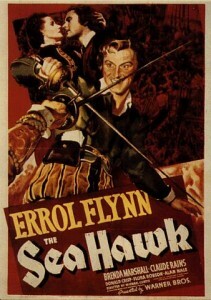 One of the Sea Hawks, Captain Geoffrey Thorpe (modeled on Francis Drake), played by Errol Flynn, captures the galleon transporting the Spanish Ambassador and his niece to England. The slaves are freed, the rich cargo is taken away and Thorpe falls in love with the niece of the Spanish ambassador. In public, Elizabeth criticizes Thorpe but privately accepts a share of the loot. Thorpe wants to attack the Spanish treasure fleet while it is still in harbor at Panama but Chancellor Wolfingham is conspiring with the Spanish ambassador to replace Elizabeth. He figures out Thorpe’s plan and the English privateers walk into a trap. Learning that evidence of Phillip’s plan to attack England is on the same ship where he is held prisoner, Thorpe leads a revolt and they escape to warn the queen about the Armada. The commonly-held belief that England’s tiny navy barely managed to defeat a gigantic armada is inaccurate. Elizabeth had actually built up a strong fleet as it became clear that war with Spain was unavoidable and most of the ships in the admittedly large Armada were troop ships, not warships. However, Howard Koch, the screenwriter, knew that England was fighting for its life in the Battle of Britain and he wanted to win American support for England. Like the screen Elizabeth, the real Queen would officially condemn the actions of the Sea Hawks, but turn a blind eye to what was essentially piracy and even contribute ships to the larger expeditions. The Spanish Empire controlled access to the West Indies and she wanted to break that lock. Aside from capturing treasure-laden galleons, the Sea Hawks raided Spanish settlements and traded in slaves, but the script ignores the less savory aspects of the Sea Hawks in favor of portraying them as patriots. 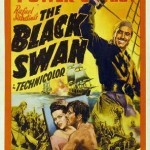 For a film made in 1940, the lives of the galley slaves are not whitewashed. The men sleep on their oars because they are chained to them, and several die from the ordeal. The producers must have taken every skinny actor they could find to play the exhausted galley slaves. Having their ships propelled by galley slaves immediately establishes the Spanish as evil totalitarians. 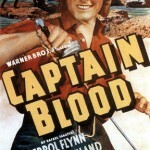 Although based on the novel by Rafael Sabatini, the only thing shared in common by the movie and the book is the title. Faced with evidence of naked aggression, the queen makes a stirring speech about how England must prepare itself for a war it did not want and did everything possible to avoid but the ruthless ambition of a man threatens to engulf the world so they need to show that the Earth does not belong to any one man but to all men. A conventional film would have climaxed with the destruction of the Armada but since the speech is really a call to arms for America to fight Nazi Germany, the movie ends with Elizabeth pledging to build a mighty fleet to oppose Spain. 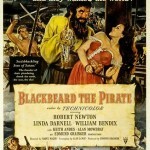 In actuality, Thorpe’s efforts to warn the queen would not have been necessary since the existence of a fleet the size of the Armada could hardly be kept secret and Elizabeth knew there were no other targets worthy of such a fleet but who cares about such details when you are watching the king of the swashbucklers in his prime. Flora Robson’s Queen Elizabeth is shrewd and intelligent with a savage wit. Looking at the set for the Queen’s court, it seems unlikely that the real queen could have ever matched Warners’ design budget. Although it infuriated executive producer Hal Wallis, Curtiz knew what he was doing when he went over budget. The reconstruction of a Spanish galleon is excellent and it is hard to believe that this was all filmed in a giant water tank. Flynn being Flynn, he wins the love of the Spanish ambassador’s niece, sneaks into the castle, where he fights four guards at a time (he really could fence), and then fights an incredible duel against Wolfingham across half of the castle, where much of the battle is seen only through their shadows on the walls. There is no denying that anyone but Flynn would look like a complete nancy boy in a doublet and cape. Flynn’s usual love interest, Olivia de Havilland, was presumably too fair-skinned to pass for Spanish so she was replaced by Brenda Marshall. The lack of chemistry must have been apparent to Curtiz since he returned to using de Havilland for the next Flynn vehicle, Santa Fe Trail.